People are being encouraged to donate their old bikes to Bikes 4 Africa as part of national Reuse Month. “October is National Reuse month and everyone is being encouraged to ‘reuse every day at home, at work, at play’” says Suzanne Bogan, Waste Awareness Officer with Donegal County Council. As part of Reuse Month, Donegal County Council is supporting Letterkenny Rotary Club and Bryson Recycling’s ‘Bikes 4 Africa’ campaign where people are being encouraged to donate their old bikes by leaving them at any of the six Bryson Recycling Centres in Letterkenny, Dungloe, Milford, Carndonagh, Stranorlar or Laghey during opening hours in October. Check www.brysonrecycling.org for opening times. Adult bikes and bikes suitable for teenagers similar to those pictured are most suitable. Small children's bikes are not sought as part of this campaign but can go for recycling at the recycling centres. In this instance, they refurbish the bicycles. This arrangement facilitated by the Irish Prison Service where the prisoners repair the bikes and are supporting a charity as well. Well over 2,000 bicycles have been refurbished since the campaign began a number of years ago, all of which will eventually be transported to The Gambia, where Rotary’s partner organisation “Jole Rider Gambia” pre-selects the schools, and then oversees the distribution of the bikes, with the assistance of the Gambian Education Ministry. Bikes remain the property of the school, with teachers allocating them to the children according to set criteria. When a child graduates from school, their bike is then reallocated to another child. The strategy is to only allocate 100 bikes to each school. 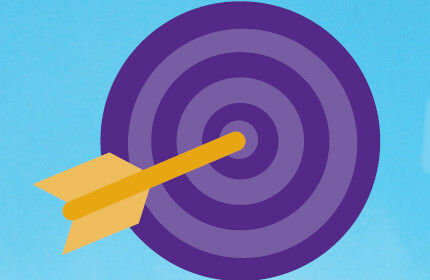 The effect of this strategy is to raise the academic standards of the entire school, and therefore, each bike impacts positively on as many as 10 students. 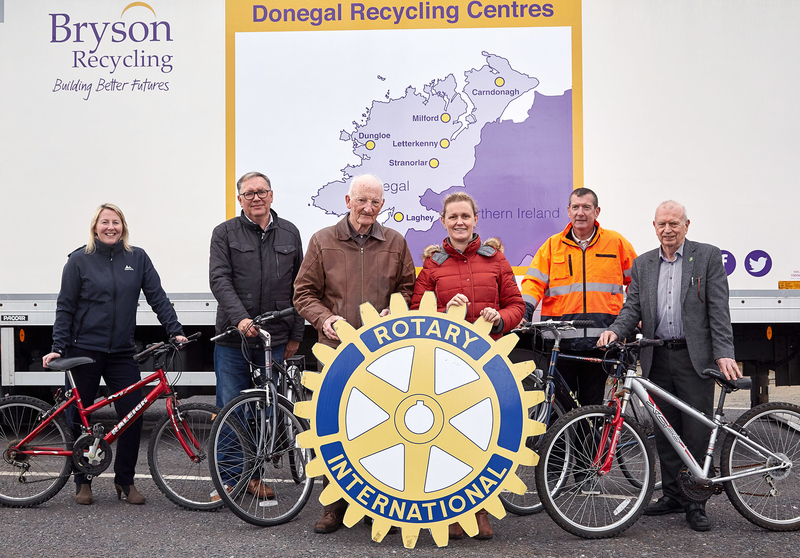 Connie Gallagher, Bryson Recycling said "we are delighted to support the Rotary Club’s ‘Bikes for Africa’ campaign by providing collection points at the six Recycling Centres in Donegal. 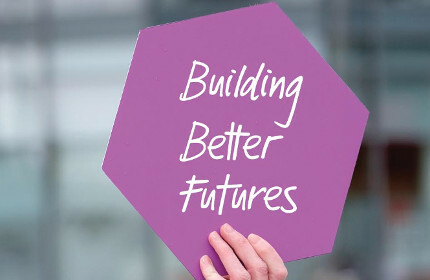 At Bryson we are committed to ‘building better futures’ and where better to achieve this than gathering bicycles for school children in Africa." 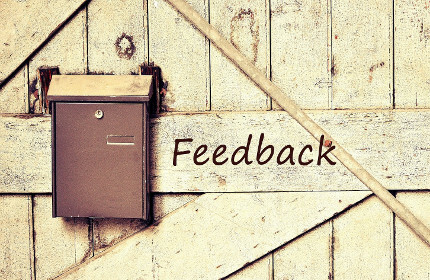 Suzanne Bogan concludes that “this is a great initiative and one that clearly demonstrates what we are trying to achieve during national reuse month. Donating, refurbishing and repairing items are all forms of reuse and offer people a chance to save or make money, get creative, learn a new skill and be environmentally conscious”. 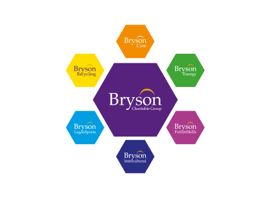 Donations of old adult and teenager sized bikes to the Bike 4 Africa campaign can be left at any of the six Bryson Recycling Centres in Letterkenny, Dungloe, Milford, Carndonagh, Stranorlar, Laghey during opening hours from Saturday during the month of October.